Let us take a moment and say our prayers. Pray for the loved ones we lost and for those who were left behind. Remember that day and how we all came together, united. Remember today and let our hearts be filled with love to get through another year. Make today be a reminder to hold our loved ones tighter, to wake up and remember every line on their faces, to forgive, to pick up the phone and let them know how much we love them. With all the stress this deportation had put me through, I didn’t realize I had a bigger responsibility of explaining the situation to my children. I took for granted that they probably felt bad, too, but before I read their letters, I didn’t realize how severe the situation was. In the meantime, my parents decided to move out of New Jersey until we got the help that we needed. They were scheduled to fly to Los Angeles on September 11, 2001. September 10, 2001, I said my “goodbyes” to my parents. Then tomorrow came. It was September 11, 2001. A few minutes past 8 in the morning, I had just dropped off my three children at school. 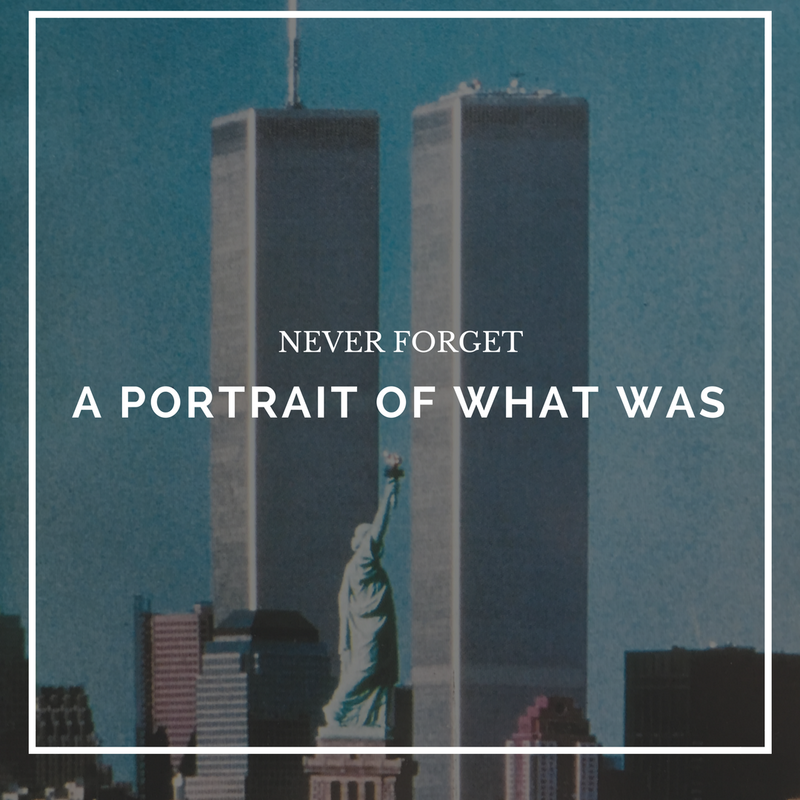 I was driving my Ford Expedition with my 6-month-old baby in his car seat, heading back home to drive my parents to the airport when I heard on the radio, Z100-FM, that an airplane had crashed into the World Trade Center. I hurriedly went back to the house and turned on the television. I couldn’t believe what I saw on television. My parents had originally planned on taking an earlier flight from Newark International Airport to San Francisco, where my Mom’s sister lives. However, in the previous week, my parents had changed their minds and had switched their plans to fly to Los Angeles instead. If my Mom had insisted on heading to San Francisco, my parents could have been on board United Airlines Flight 93, which ultimately crashed in Pennsylvania! Needless to say, my parents were lucky to have chosen a different flight schedule. And then the phone rang. The caller-ID registered my mother-in-law’s work number. She worked in a building right near the World Trade Center. “Mom, are you all right?” I asked, before Craig’s mom could say hello. “I’m fine. Dad is here,” she replied. “No, he’s not there,” I said. “No, Dad is here,” she repeated, enunciating every syllable so I could understand her. “No, he’s in Cranford,” I insisted. “I love you, mom.” I said. Her office was in the process of evacuating. She had called me at home because she knew I would be home with the new baby. She called her sister, too, to let her know that she was with my father-in-law, before they proceeded to leave the office. She tried to call Melayne but by then, there was no phone service. I called Craig, who was working at a client’s office that day in Parsippany, New Jersey. I told him that a plane had hit the World Trade Center and that I had spoken with his mom. I asked him to come home soon. He asked if I had heard from his mom again, and I said, “No.” I last spoke to her at 9 a.m. After that, we couldn’t reach her. When the first plane hit, one TV news commentator said it was an act of terrorism, while others called it a tragic accident. Craig’s parents had lived in a two-bedroom apartment in Bensonhurst, Brooklyn, all their lives. My mother-in-law would tell us that my father-in-law never wanted to move because he wanted to stay in a “one-fare-zone:” one train to work and one train back home. So when he was given the opportunity to telecommute, only then did Craig’s parents move from Brooklyn to Cranford, New Jersey in December 1996. Craig’s dad had been working from home since moving, occasionally going into the office in New York. But on Sept. 11, after three years of working outside the office, he had to go to New York City for a meeting. So was it fate? Was God looking after my family? 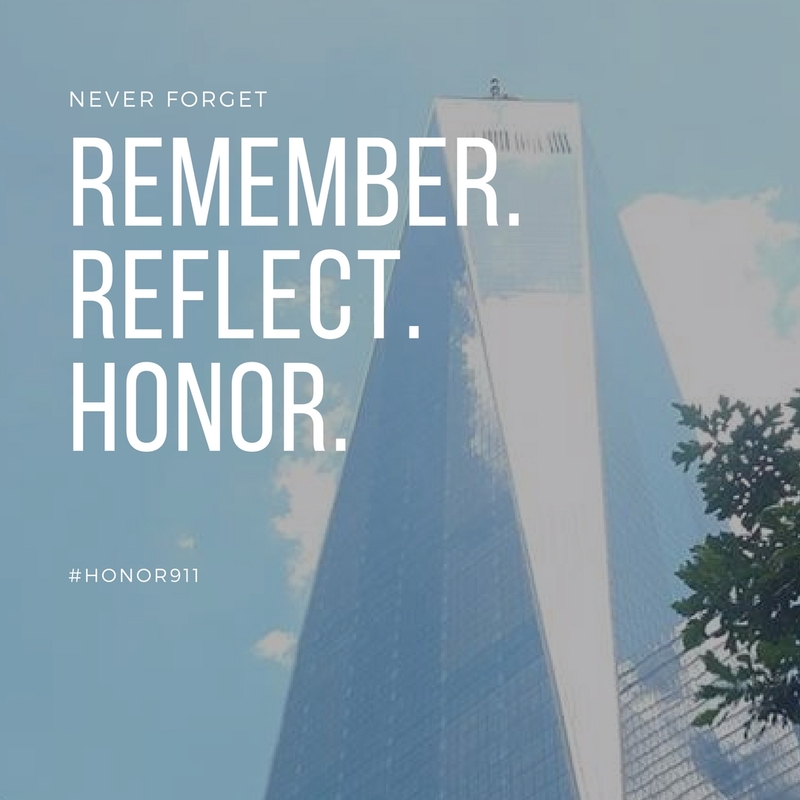 Craig’s dad had been inside 6 World Trade Center, an eight-story office building right near the towers, on the third floor inside the cafeteria, overlooking the promenade. He was early for his scheduled meeting with the customs office at 9 a.m., so he had decided to get some coffee with his female colleague. The cafeteria had big glass windows that showcased a nice view of the big plaza that was in front of the towers. He was sitting, sipping coffee when he heard an incredibly loud noise and saw the chandeliers swaying inside the cafeteria. A few seconds later, as he looked out the window, he saw debris the size of baseballs raining down on the plaza. “Gee, what’s that all about?” he asked. A few seconds later, my father-in-law heard a few loud “boom-boom-booms!” The debris from the North Tower was raining down on the flat roof of the building he was in. My father-in-law jumped up and ran away from the window and headed to the nearest exit. By the time he got to the stairs, there were people coming down from the higher floors. When he got outside, he looked up and noticed that there was a big hole on the side of the North Tower. He thought there was an explosion inside the building. He didn’t realize that the tower was hit by a plane until he heard a woman saying in disbelief that a plane had hit the North Tower! All my father-in-law was focused on was getting to his wife. He rushed toward my mother-in-law’s office building. Her building was already preparing to evacuate. Her office was on the third floor, the television was on and the news about the morning’s events dominated the airwaves. Craig’s parents were watching the news, and when they looked out the window, they noticed that the people on West Street (West Side Highway) were all looking up. It was at that moment that a second plane hit the South Tower! Dad looked down and saw people in the street starting to run and panic. My in-laws had walked a short distance away from the World Trade Center when the first tower came down. They continued walking north when they noticed a woman walking in the opposite direction with her mouth wide open and fear in her eyes. My in-laws looked back and saw that the two buildings that used to tower over downtown New York, where they had each worked for decades, were now replaced by big clouds of smoke. They were shocked, but they knew they couldn’t stop and continued walking. When I got back home, I called Benjie and asked him to come over, along with my parents. We had heard that the Pentagon had been attacked, too, and there were conflicting reports of other plane crashes. All I could think of was having the family together – under one roof! Craig finally got home and called his sister, Melayne, to come over. After walking for eight hours because they didn’t know where to go, Craig’s parents finally made it to 34th Street. My father-in-law was astonished to see that 34th Street seemed so perfectly normal – not a single trace of the tragedy. People were still shopping. My mother-in-law’s feet were bleeding and in pain, so she stopped by Payless Shoes to get a new pair of socks and sneakers. Macy’s on 34th Street remained open. People gathered at the Cellar, where they were selling food. My mother-in-law borrowed someone’s cell phone since hers had stopped working. Our house phone rang. It was about 5 p.m. Craig picked up the phone. It was his mom. She told Craig that they were at Macy’s and were headed to 23rd Street to get to the ferry that would take them to Weehawken. After Craig spoke to his mom, he said, “Everything is OK with the world. Mom is shopping!” Craig’s parents finally got back to Cranford at about 10 that night. Like most Americans that day, we didn’t know what the next day would be like. That night, we said our thanks to God, ordered Chinese food, and gathered together in the dining room as Craig’s parents recounted the day’s events as they saw it – something so tragic, one only wishes it had never happened! Today, September 11, 2017, let's remember the first responders who leave their families behind, put their own needs aside and risk their lives to help save others. To the heart of America, we thank you. Oh wow, what a story. Thanks for sharing it.